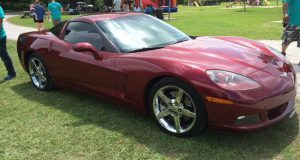 Chevrolet Honors Passing of Prince with Little Red Corvette Ad - MacMulkin Corvette - 2nd Largest Corvette Dealer in the World! You gotta give it to the creative team at Chevy, they crafted an amazing and beautiful way to say goodbye to Prince by featuring a Little Red Corvette. Thursday (April 21, 2016) marked a tragic day for the music community when news broke that Prince had passed away at his Paisley Park residence at the age of 57. 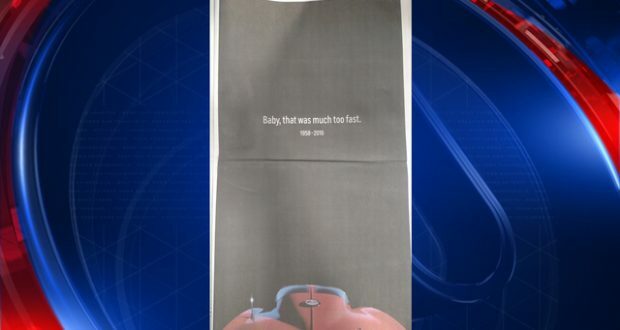 Chevy placed the ad in the USA Today Network of papers. It features a red Corvette at the bottom and six simple words: “Baby, that was much too fast.” Underneath that was 1958-2016. The ad is of course a tip of the cap to one of Prince’s most famous songs, “Little Red Corvette”. The song premiered on the album 1999 in 1983 and was his biggest hit at the time. It was also his first reach the top 10 in the U.S. and peaked at six in the Billboard Hot 100 chart. Head on over to VetteTube.com and enjoy this fitting tribute to an incredibly talented artist and musician. Previous: Available: 2011 Corvette Grand Sport Convertible 3LT – Beautiful! Next: CORVETTE CLEARANCE at MacMulkin Chevrolet!